This Disc Golf basket from Titan is portable, sturdy, easy to assemble, and can be moved around your the back yard, home, or loaded up in the trunk of your car with ease. Use it with the removable base, or install permanently in your back yard! 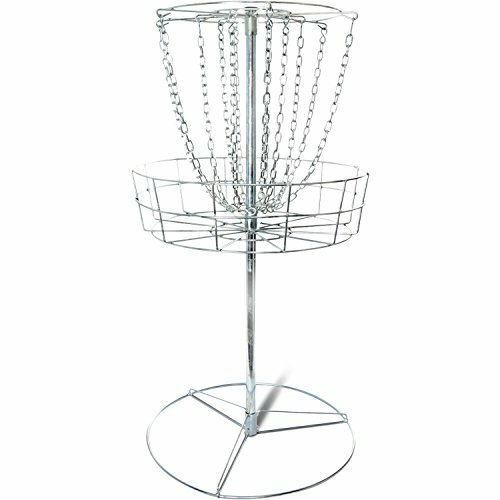 It's perfect as a practice basket or for setting up a private course, and features the heaviest gauge chains in the class for better catching. Easy to take apart for storage - Height: 55"
If you have any questions about this product by Titan Great Outdoors, contact us by completing and submitting the form below. If you are looking for a specif part number, please include it with your message.